Experience the symbiosis of URBAN ART & URBAN SCENTS and get inspired by analogue tape art and sensual creations. We deeply believe in the connection of nature and humankind. We are on this world to connect with nature and people - to exchange skills, to collaborate, to support and inspire each other. When you realize this and let it flow beautiful things start to happen and creations develop naturally. Fundamentally, we love to experiment. A new creation is based on passion & creativity – this is our understanding of art. Keeping true to our crew mentality we like collaborations with other artists…such as object & installation artists, musicians, visual artists and various creative visionaries. It´s a combination of tape art and the art of creating scents by Marie Urban - Le Febvre. Marie has created scents inspired by the art of TAPE OVER. Their tape art style includes elements of street art as well as urban art, and is characterized by its versatility and fine detail. 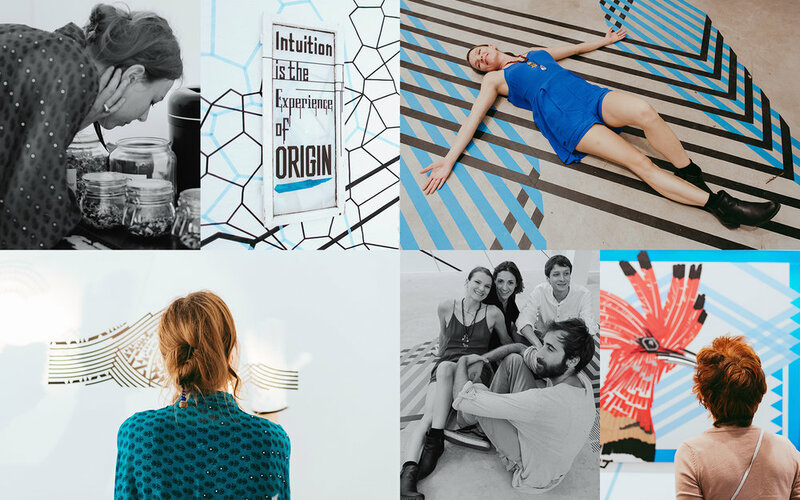 What inspires them most – organic forms, abstract shapes, plain design, as well as visual statements.Founded by LaMia Michna & Robert König, TAPE OVER is currently the biggest tape art crew worldwide.